What would you do if your back gave out -- after 100 miles of nonstop running? What would you do if you were in a tent in the most remote part of the Hebrides, swallowing gnats when you were breathing? What would you do if you were so injured that you had to re-learn how to walk? What would you do if you were held hostage for 92 hours, hung upside down and whipped until you bled? What would keep you moving forward? When I was 13, I had this moment where I decided I wanted to make a lot of money. So, for the next thirty years, I lived that life. I started a pool business when I was 13. I went to Wall Street in my twenties. I started business after business with that goal in the back of my mind. And I made money. But after creating Spartan Race and talking to so many successful people on the Spartan Up! Podcast, I’ve started to ask myself -- what’s keeping me moving forward? Is it money? Family? Pride? Related: Fifty thoughts that can motivate you to do anything. Mimi Anderson runs with a purpose. The reason to move forward is different for everyone. Mimi Anderson, for example, started out long-distance running by entering a marathon, just because she wanted thinner legs. That one marathon turned her into an ultra running maniac, and eventually she ended up running an ultra marathon across the Arctic Circle. That’s where everything changed. Mimi was throwing up at the seventh checkpoint. She couldn’t keep any food down and she started to doubt that she was going to finish. But just when she was at the point where her brain was saying, “I’m gonna quit,” one of her teammates came up to her and said a few words that would decide the rest of the race. Not only that, but those words have stayed with her ever since that moment. They’ve pushed her to achieve three Guinness World Records and finish some of the most daunting endurance challenges in the world. She did the double-crossing of Badwater, something even I haven’t tried (and I’m a maniac). When Mimi’s up against the wall and she’s thinking she’s going to fail, her desire to prove everyone wrong -- and to realize her true potential -- is what keeps her moving forward. Monty Halls will never give up. As I heard how more and more people kept moving forward when everything was against them, I started to realize that the “why” behind what we do is sometimes the only thing we have to lean on. 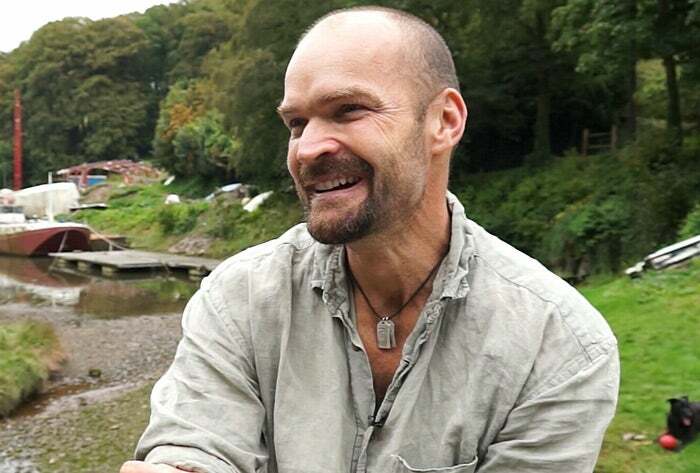 Take Monty Halls, the adventurer and BBC broadcaster. From the finished products you see on the BBC, you’d think that this guy was just out there killing it 100 percent of the time with his crew. But he told us that half the time he’s thinking about how he wants to quit and go home. I’d be thinking the same thing if, on the first day of my expedition, one member of my crew got attacked by a dog and another got stabbed. That’s another story, though. When Monty remembers that, he remembers that he has more potential than the part of him that wants to call it quits early. “You’ve got to remember that,” he says. 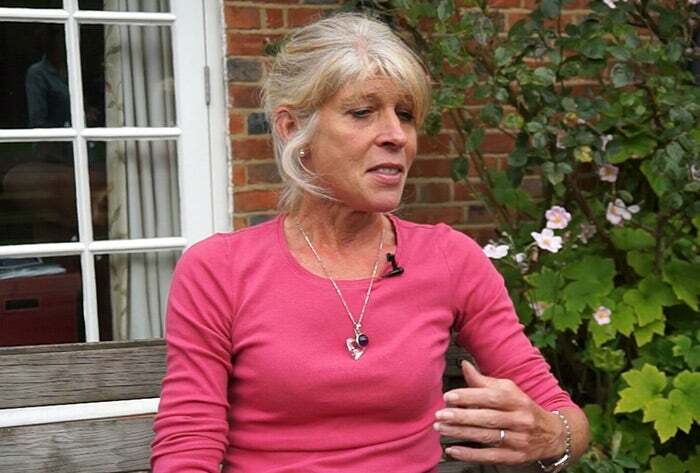 “The sofa-bound slob within me is telling me to stop, but my body is still saying, no, I’ve got loads in me.” And Monty believe that this knowing who you are is what drives the hardest people in the world to endure the toughest environments. Related: Five motivation blocks hurting your success, and how to transform them. Speaking of endurance, I talked to Meb Keflezighi, the Olympic medalist and Boston and New York marathon champion. He grew up in the middle of the First Eritrean civil war. When Meb was very young, his father left his wife and six kids in war-torn Eritrea to walk 225 miles to Sudan just so he could ask for help. Six years later, after getting help from Italy (Eritrea was an Italian colony at the time), Meb’s family found themselves in the United States. It wasn’t long after that that Meb started his own long-distance journey. 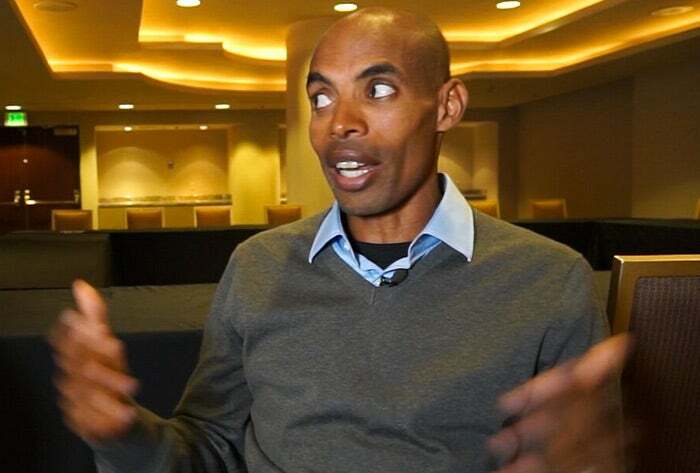 In seventh grade, Meb’s physical education teacher challenged him to beat a six-minute mile. He ran it in 5:20. As I said, Meb eventually went on to be one of the greatest marathoners of our time, but that’s not the point. The point is that eventually, all that running finally took a toll on his body. He got a pelvic stress fracture. This guy went from running four minute miles to crawling on his hands and knees like a 10-month-old baby. How do you get through that? For a while, Meb thought he was going to retire. He was facing months of physical therapy. But he decided it was worth it. As I heard the stories of all these people, I really started to wonder what keeps me going when literally everything is against me. Is it something that’s going to hold up? My mind is usually in 1,000 places at once, but I started to get fixated on this. Related: The seven secrets self-motivated entrepreneurs know. Karim Jaude's search for justice. And then I talked with Karim Jaude. I can honestly say I have never been the same. When Karim told me his story, I felt like my life had been a walk in the park. This man, who back in the seventies owned some of the biggest real estate companies in Iran and Lebanon, got kidnapped, tortured, and interrogated by seven different groups who wanted his money. He finally escaped between the seventh and eighth interrogations. 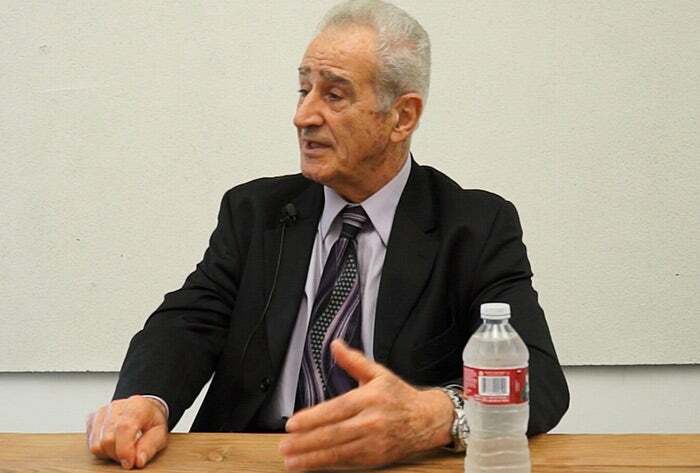 He was released on three conditions: sign over everything he owned to his captors, leave Lebanon immediately and never talk about being tortured. He was put on a plane out of Beirut in his dirty clothes and bloodstained shirt. He woke up in a hospital in Geneva. Fast forward. After spending years on the run in a full-body black cloak from people he didn’t even know -- he finally wound up on a plane to the United States. He had $17 in his pocket, no family, no friends and no home. What did he do? He did what he knew how to do: real estate. So he got on a bike with the little money he had, found a property to fix up, fixed it up, sold it and bought three more with the profits. “The rest is history,” he says. The rest of Karim’s life, he said, came out of that grounding directive: reduce other people’s suffering. “To be able to start a foundation, I had to make money,” he says. So that’s what he did. Even after he was kidnapped and tortured, Karim never lost his goal of helping others. In Karim’s mind, a person always has two choices: “You can either sit in the corner and whine, or you can go on with your life.” After every setback, he just kept on overcoming more and more obstacles. While many of Karim’s friends who were tortured ended up taking their own lives, Karim’s grounding belief kept him from giving up. His vision always outlived his own suffering. All of these people -- Mimi, Monty, Karim -- all have something to teach entrepreneurs. The one thing they all have in common is that they hit rock bottom, a place where they had no one to push them forward. For Mimi, it was that moment in the Arctic when she was saying, I can’t go any further. For Monty, it’s the constant discomfort of traveling to remote, unforgiving places and fighting the temptation to go home. And for Karim, it was years and years of hell that took literally everything he had. What can they teach us? That you have to be prepared to answer that question. What will you say when you’re throwing up in the Arctic Circle? What will you say to yourself when you’re swallowing gnats in a tent in the West Hebrides? What will you say when all you can do is crawl? What will you say when life takes everything away from you, and you’re stranded with no money, no friends, no family and no home? What’s the one thing that will always drive you forward? We all have times when we’re hanging on this question. But entrepreneurs are in a tough spot because they’re doing things people have never done before, and they don’t have anyone to tell them how to do it right. Because they’re not doing what’s normal, most people are going to think that they’re crazy. They say it’s lonely at the top, and that’s 100 percent correct. But you have to be there to make something happen. You have to be willing to suffer. You have to have the courage to stand on the edge. If you’re going to make a leap, you need something to push you forward. After meeting all of these highly successful people, I did get to thinking. My True North isn’t money anymore. I now know that the most important thing to me is my family. I’ll be honest with you, it took a lot of searching and digging around, but I’m sure of it now. And I know that that’s always going to be the thing I get up for in the morning.